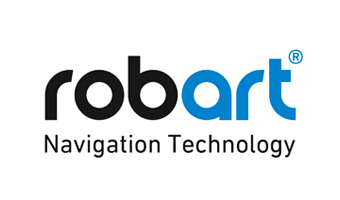 RobArt is an Austrian based company developing artificial intelligence and smart navigation solutions for robotics industry. Its dynamic navigation hardware modules and software are used today by large manufacturers of household robots such as vacuum cleaners and industrial robots. The company was founded in 2009. With plenty patents filed and half of its staff PhDs or Masters, RobArt is a tech-oriented startup with sales operations in Asia, Europe and US.